Completing the brief form below will immediately give you a set of estimates for a professional CCTV Survey of the drains on your property. 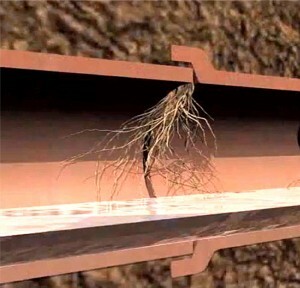 These prices come directly from Drainage Specialists who provide inspections in your local area. You can then contact them directly to discuss prices and book an appointment. Why would I need a CCTV survey? There are a number of reasons why you may need to check the structural condition of your home’s underground drainage system. It may be that a Building Survey has flagged up a potential problem in the house you want to buy, or perhaps your waste water isn’t discharging properly. If you need drain repairs or unblocking click here. You may want to add extra bathrooms and WCs so it’s worth checking that the existing system can cope. Perhaps you’re planning to build an extension and need to check the route of underground pipes, so the builders don’t damage them when excavating foundations, or the Water Authority may require this as part of a ‘building over agreement’. Either way, a CCTV survey will quickly identify problems such as invading tree roots, high levels of silt, and obstructions. It should then be clear which part of the pipe needs attention, saving a lot of time and work. Completing in the form above will give you a list of Drainage Experts who will be happy to help. Their price estimates cover the cost to visit a property, inspecting the drains and where required writing a report. This assumes there is reasonable access access to the drains, usually via inspection chamber/manhole covers. 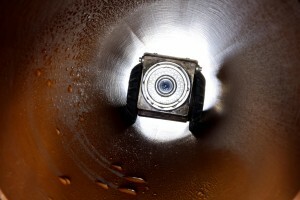 It may be that jetting to clean out the drain will be required before a CCTV Survey can be undertaken. Should excavation be required to gain access, each specialist will usually have an additional price for this (at an hourly rate). It’s important to agree the various charges before work commences. Sometimes the resulting report will identify the need for maintenance or repair work, and where necessary an estimate of the cost will normally be noted in the report. For surveys of septic tanks and cesspools, inspection sometimes isn’t straightforward, so and again it is important to discuss the likely costs before proceeding.